My nail clippers, tweezers, and files always go missing. I am hoping that with this shiny case they might stay as a set although my daughter did give it the eye when I unboxed it. I told her hands off this is mommy's. 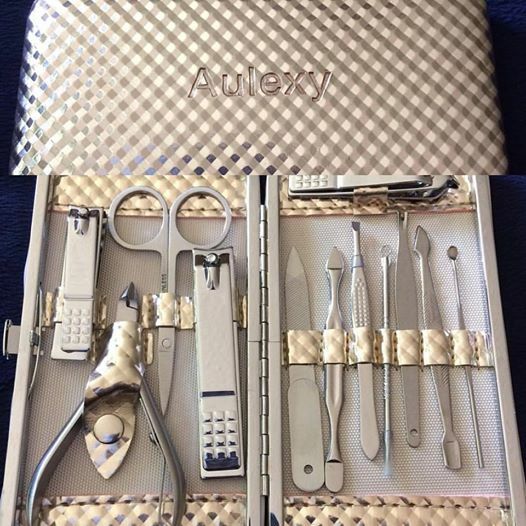 I think this is a pretty case filled with most of what you will need to get through life's broken nails. Having everything in one case also keeps them ready at a moments notice and will look great in your purse, your bedside table, or even your vanity. 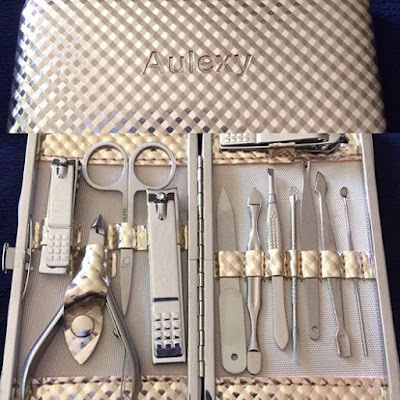 The Aulexy 12 pc nail kit can be found at the affiliate link below.